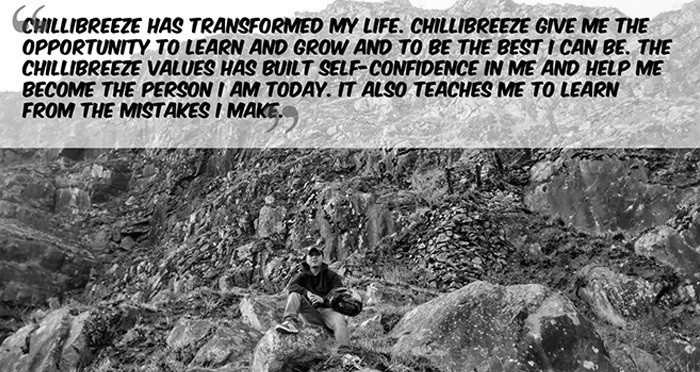 As part of our blog series on Team–Stories, meet Steward Kharpuri, a Team Leader in the Finance division of Chillibreeze. His cheerful nature and a ready to smile personality is a pleasure to work with in the team. But looking at him you may need to be reminded that he shoulders important Finance related responsibilities. He is in–charge of maintaining internal accounts, dealing with outside agencies like the Tax authorities, Provident Commissioner, Chartered Accountant and lots more. Steward has been following the blog posts of his colleagues in Chillibreeze and could relate to the many things they spoke. Their shared love for the city, the values they learned from their own families, values they have imbibed after joining Chillibreeze, their positive outlook on their future and how Chillibreeze feels like family. Steward was keen to share his life with us too, and we set up a time to talk to him. Read on and take a virtual walk with Steward as he tells his story. Shillong is my hometown & ‘work’ town! 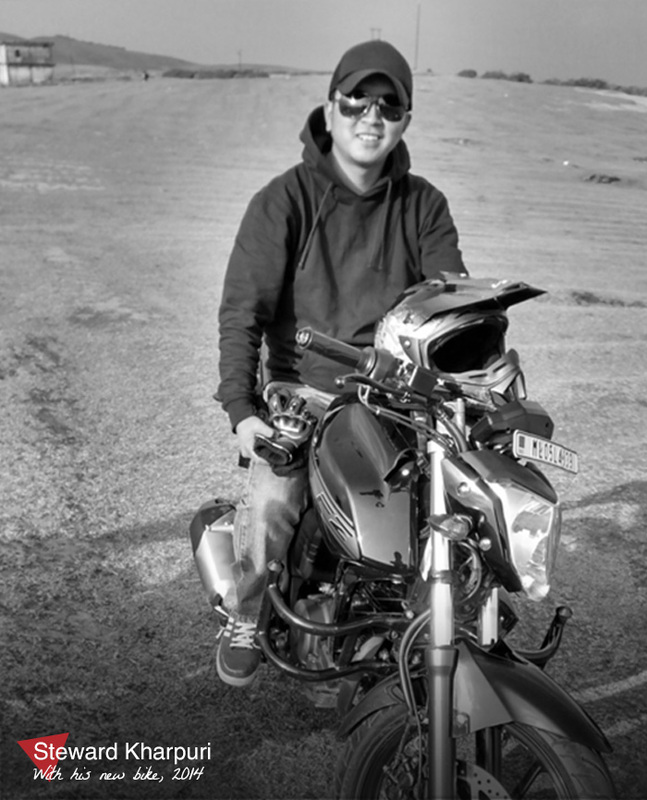 I was born and raised in the beautiful city of Shillong, and it is where I work too. The city is now becoming very busy and congested, but lucky that we still have plenty of places where one can see nature at its best! The undulating hills, tall pine trees, waterfalls and wild orchids in the season are so beautiful. At times that it makes you wonder, about the hand behind these creations! 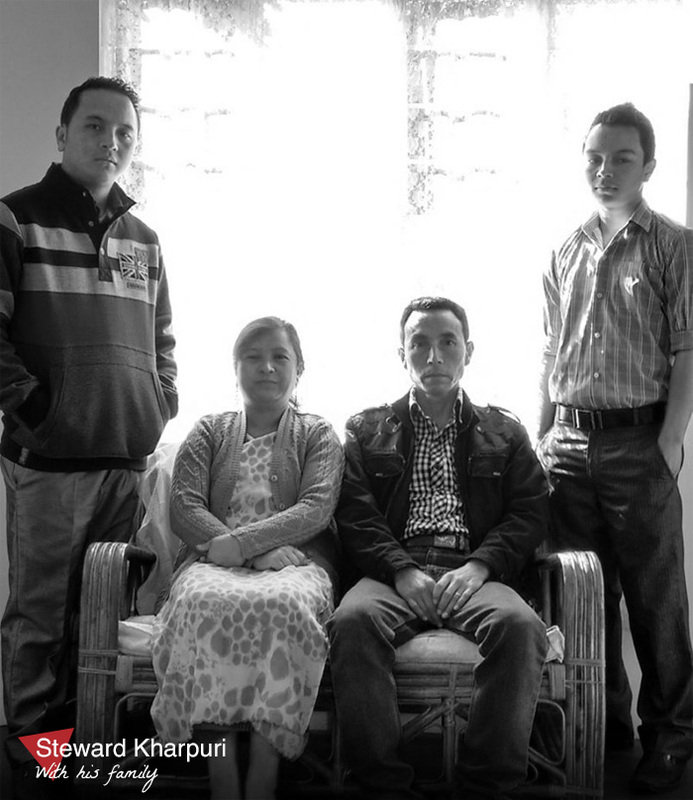 I am a Khasi belonging to a close-knit, small family. My father works in the Police department as a constable in the Third Battalion, and my mother is a housewife. I am the elder of two sons, and my younger brother is in high school. “I remember my school days. We had time for play. Our teachers were friendly and used to teach us well. Yes, they would punish us if we did something wrong. Let me be honest—I was not a bright student, but I was a sincere one! I understood the importance of having computer knowledge, so even while I was doing my 12th standard, I attended computer coaching classes to learn MS Office—Word, PPT, and Excel. I did Bachelors in Commerce (B.Com) at St. Anthony’s College, Shillong. I heard the name ‘Chillibreeze’ since my schooldays, but I was not aware of what it did. After I gave my final B.Com exam and while waiting for the results I enrolled in a computer coaching class in Don Bosco Technical Institute to learn Tally, an accounting software. It was a three-month course. One day, in the middle of my Tally class, I got a call from my relative about a vacancy in the finance department of Chillibreeze and to apply if I was interested. Yes, I was indeed interested! I did not have any work experience, but I was ready to find a job and put my academic learnings to practice. I applied to Chillibreeze that very same day through their online job form and did an online test too. I went through an interview process and was called to join Chillibreeze as a trainee. I love watching football, and I wanted to be a football player! I was never serious about it, as I did not make any effort to get better at the game. But, my love for the game continues. I support Manchester United and the local football club called Rangdajied United Football Club. I try to play Football on Sundays, after Church. We never miss attending the Sunday service at St. Paul’s Parish as a family. At one point I wanted to be a Chartered Accountant. But, that would require me to get excellent grades, which was challenging for me. So, I gave up that idea. But, I loved Accounts, and that is what I now do for a living. With only my father working, there were times when we had a financial problem at home. It is difficult for one member to support a growing family. I decided that I would try my best to support myself and help my family financially. Before joining Chillibreeze, I looked for ways to support myself and help my family. I tutored Maths and Science for students studying in class IX and X while I was waiting for my B.Com results. It started with my mother’s cousin sister asking me to teach her children. I ended up tutoring five students. I made some money this way. There were times I did three different things every day. Attending Tally classes in the morning, taking up painting jobs in the afternoon and tutoring in the evenings! Some of my friends were painting and earning extra money, so I joined them too. Now that I have a job I can contribute to my family financially. My parents are so happy that I am able to pitch in. Now I look after the school fees of my younger brother. I am happy I can stand on my own feet. If I did not have this job in Chillibreeze, I would not have been able to do any of this. Our Finance Manager, Lovina, coaches us on how to plan our expenses, how to save, etc. I am learning to save, a little at a time. From my savings, I bought myself a Yamaha bike in January 2014. I ride it to work every day. I would like to share a picture I have of me and my Chillibreeze colleagues with our bikes, bought after joining Chillibreeze. My managers have given me an additional responsibility of supervising and training a new team member. I am happy that I was given this opportunity, but I feel this is a big responsibility too. If the team members I train does not do well, then I am answerable for their failure and I also fail. If they perform I can see that it will reflect on me. I want to be able to meet Chillibreeze’s expectation of me! I never thought that I will have the capabilities to deal with officials like the Branch Manager of Banks, Tax officers and Chartered Accountants etc! I need to do this regularly as part of my job and find myself capable of it. I also generate and handle invoices for important customers, which is again a demanding job. It surprises me that I am doing things I would have never thought possible! If I was not working with Chillibreeze, I would not learn how to serve high-level customers and serve them well. I started here immediately after college and learned the practical aspects of all that I had learned theoretically in college. Reading all this, you may think its only work, work and work in Chillibreeze. This is not the case. We feel like a family and enjoy moments of togetherness through the day too. I want to do well and exceed the expectations of the managers and our company. I feel a sense of ownership towards the company. I want to see the company do well and I want to rise to senior levels in the company. My prayers are that my wish is granted!